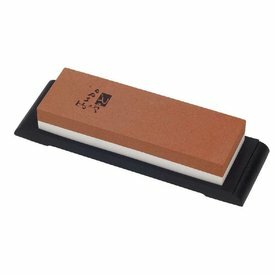 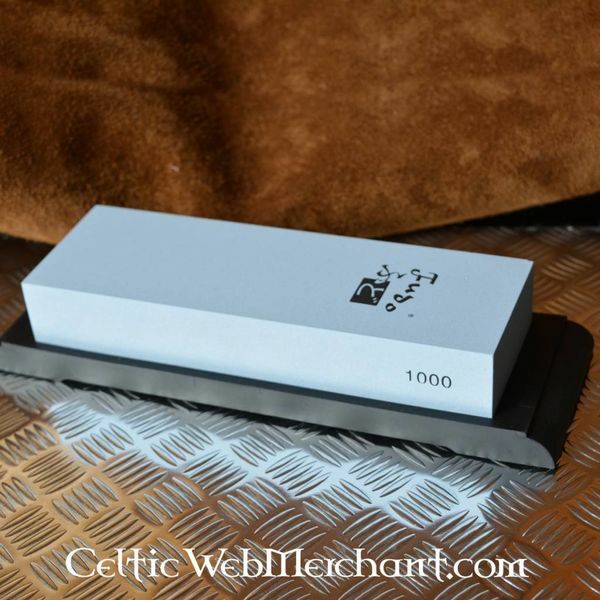 A Japanese artificial whetstone for fine grinding. 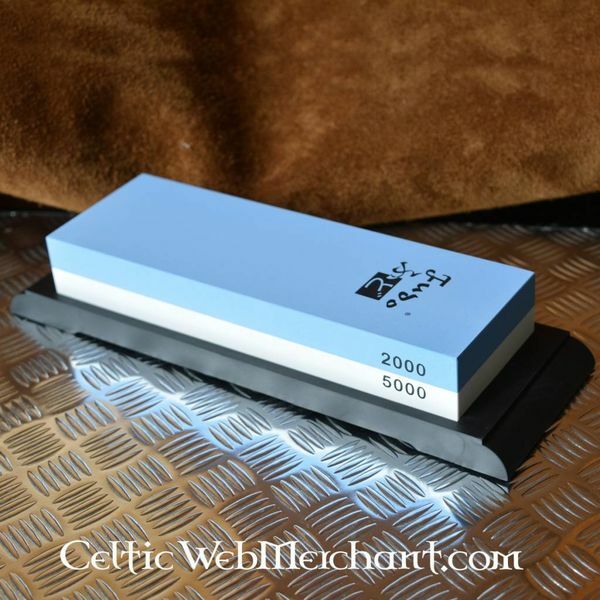 This whetstone has an open structure and two sides: a coarse grain (grain 3000) and a fine grain (grain 1000) side. This whetstone is made for grinding cooking knives. 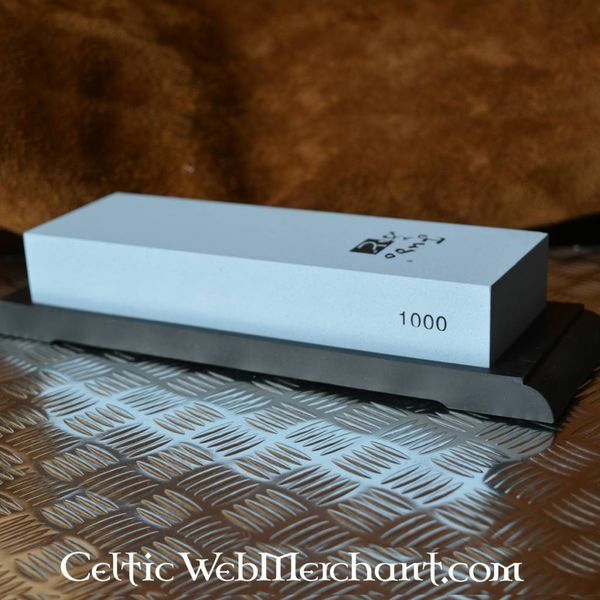 Before use let it soak for 10 to 15 minutes in water so that it is soaked through. 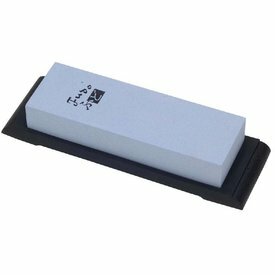 The stone measures 18 x 6 cm.